It sometimes comes as a surprise that your car battery is dead. Most of the time, you won’t be able to start your car. Instead of getting caught off guard, pay attention to a few signs from your battery that could indicate that a new one needs to be purchased in the future. 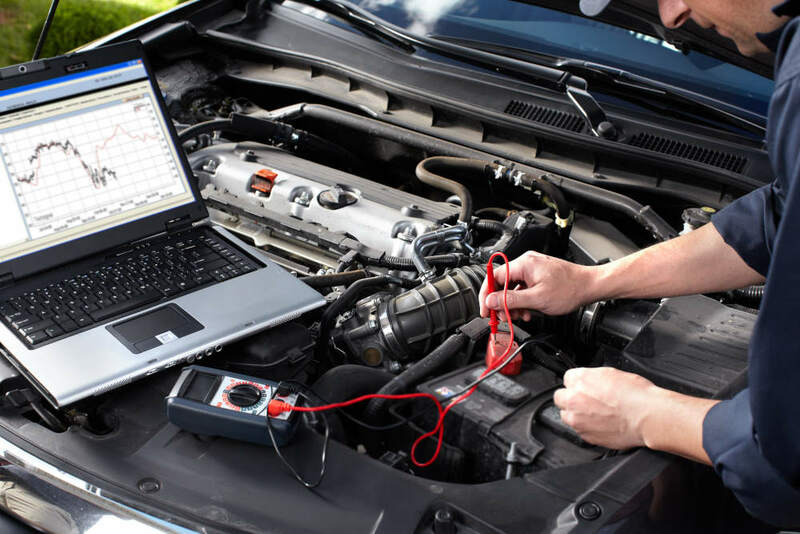 If you suspect that your car battery is dying, then take it to a mechanic like Road Runner Auto Care in Apple Valley. Someone can look at the date on the battery to determine how old it is while performing a check to see how strong the battery really is compared to a normal one. A common sign of a failing battery is difficulty starting. You want to pay attention to slow cranks in the morning and when the weather begins to get cooler. The lower temperatures can often mean more electricity from your battery to start your car, which means that it can die sooner if it’s not a new battery. 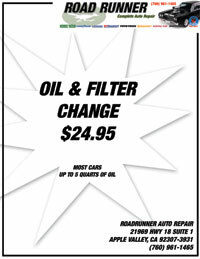 Your engine might be sluggish to start as well. Your check engine light might come on if the battery is wearing down. If you see this light on in your vehicle, you should consult with Road Runner Auto Care in Apple Valley to have someone perform a diagnostics test to determine exactly what’s triggering the light. Some of the newer batteries have clear tubing at the top or on the side so that you can see how much battery fluid is left. This is beneficial, but you have to monitor the fluid levels. Check your fluids in the fall and spring before the major seasons of the year to see if you need to add any fluids or if you need to change any parts of your vehicle. Pay attention to the size of your battery. If it looks swollen or larger than normal, then there could be excess heat underneath the hood which can lead to a shorter battery life.